Nottingham Playhouse, Sonia Friedman and the Young Vic are among the nominees for The Stage Awards 2019 in association with Integro Insurance Brokers Ltd. 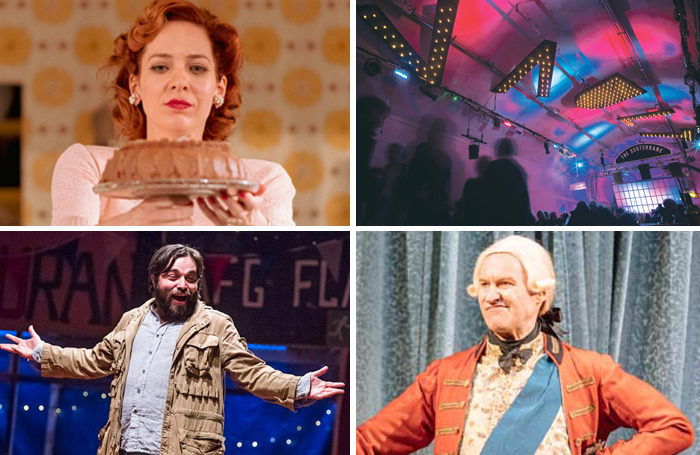 Spotlight and the National Theatre’s video casting database for D/deaf and disabled actors  and a sustainability initiative from the Arts Council and charity Julie’s Bicycle  have also been recognised in the shortlist. The annual awards celebrate the achievements of theatres and individuals across the UK over the past year. In the venue categories, the Almeida, Bush and Young Vic theatres are competing for London theatre of the year. Nottingham Playhouse has received its first ever nomination for regional theatre of the year, up against Manchester’s Royal Exchange and Theatr Clwyd in Mold, another first-time nominee, which recently announced a West End transfer for its co-production of Home, I’m Darling starring Katherine Parkinson. Vault Festival and the Omnibus Theatre in London and Cirencester’s Barn Theatre received nods in the regional category. Friedman has been nominated for producer of the year, having previously won the category three times, and is up for productions including The Jungle , The Inheritance  and Summer and Smoke . Also nominated in the category are Barber Shop Chronicles  producer Fuel Theatre and Fiery Angel, which produced Long Day’s Journey Into Night  with Lesley Manville and Jeremy Irons. The Stage Awards, in association with Integro Insurance Brokers Ltd, are judged by The Stage’s senior editorial team, following consultation with leading figures in the theatre industry and a public nomination process. The winners will be announced on January 25, 2019 at a ceremony at the Bridge Theatre in London.